The Dancing napkins are a true celebration of hand made products. The randomness of the pattern makes each napkin unique. 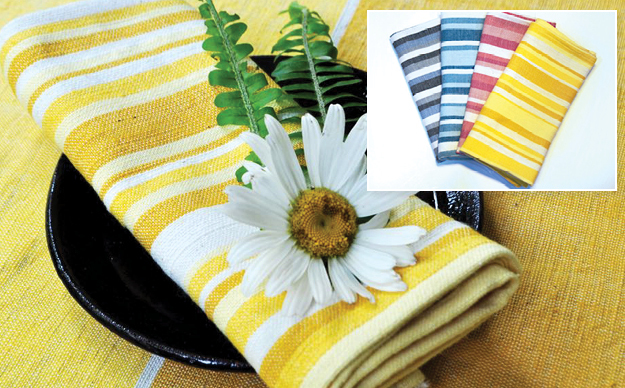 Made of durable Ethiopian cotton, the napkins get softer with each wash. Pair beautifully with our Raya and Dilla tablecloths. Machine wash cool. Tumble dry low. No bleach.